This historically relevant biography establishes Shirley Jackson as a towering figure in American literature and revives the life and work of a neglected master.Known to millions mainly as the author of the "The Lottery," Shirley Jackson has been curiously absent from the mainstream American literary canon. A genius of literary suspense and psychological horror, Jackson plumbed the cultural anxiety of postwar America more deeply than anyone. 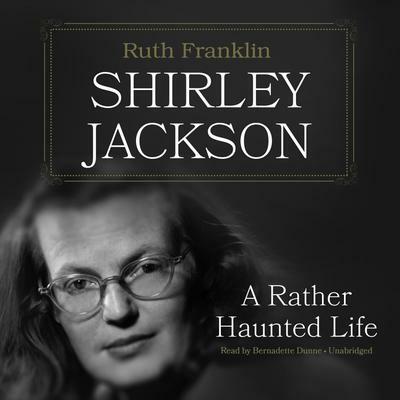 Ruth Franklin reveals the tumultuous life and inner darkness of the author of The Haunting of Hill House and We Have Always Lived in the Castle.Placing Jackson within an American gothic tradition stretching back to Hawthorne and Poe, Franklin demonstrates how her unique contribution to this genre came from her focus on "domestic horror." Almost two decades before The Feminine Mystique ignited the women's movement, Jackson's stories and nonfiction chronicles were already exploring the exploitation and the desperate isolation of women, particularly married women, in American society.Here Jackson emerges as a ferociously talented, determined, and prodigiously creative writer when it was unusual for a woman to have both a family and a profession. Mother of four and wife of a prominent New Yorker critic and academic, Jackson lived a seemingly bucolic life in Vermont. Yet, much like her stories, which explored the claustrophobia of marriage and motherhood, Jackson's creativity was haunted by a darker side. As her career progressed, her marriage became more tenuous, her anxiety mounted, and she became addicted to amphetamines and tranquilizers. Franklin insightfully details the effects of Jackson's upbringing, hypercritical mother, and relationship with her husband.Based on previously undiscovered correspondence and dozens of new interviews, this book explores an astonishing talent shaped by a damaging childhood and turbulent marriage and becomes the definitive biography of a generational avatar and American literary giant.